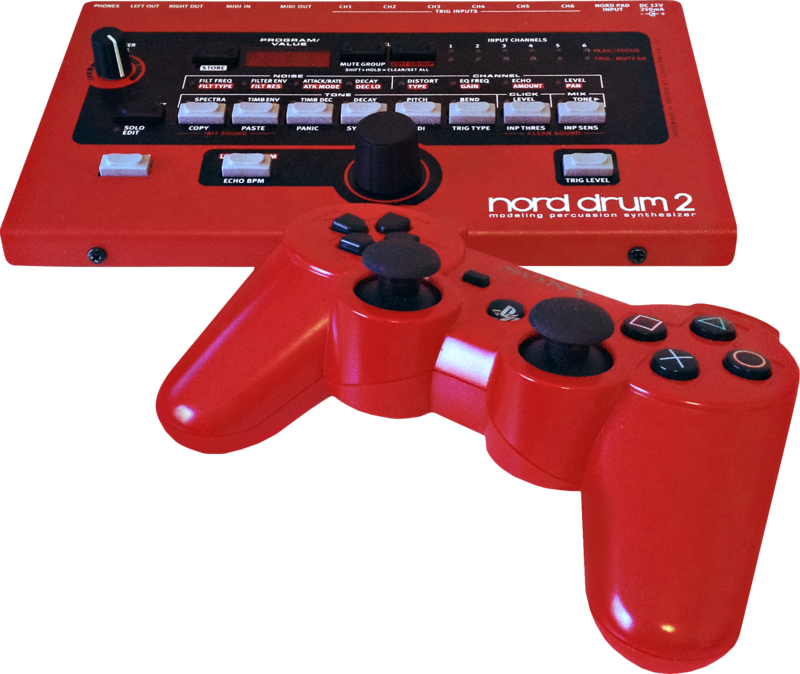 A barebones gamepad controlled sequencer written in Pure Data with a built-in Nord Drum 2 editor. Made specifically for live improvisation, sculpting both music & synthesized sound live. Heavily inspired by brilliant software like nanoloop- which runs on a classic Nintendo Game Boy- Sqein aims to be a swift tool for making beat-oriented music quickly. Is the live project where I use Sqein & Nord Drum 2 live. Sqein runs in a single PD window. It does not use GEM. It's made by a complete madman, so the entire GUI is built up of over 400 canvas objects that are continously being shuffled around & changing color via a matrix of messages. This also makes Sqein utterly sluggish on anything that is not a good modern computer. There are plans to rewrite this in a "proper" programming language, and to make it more universal for other music machines to be controlled with it.